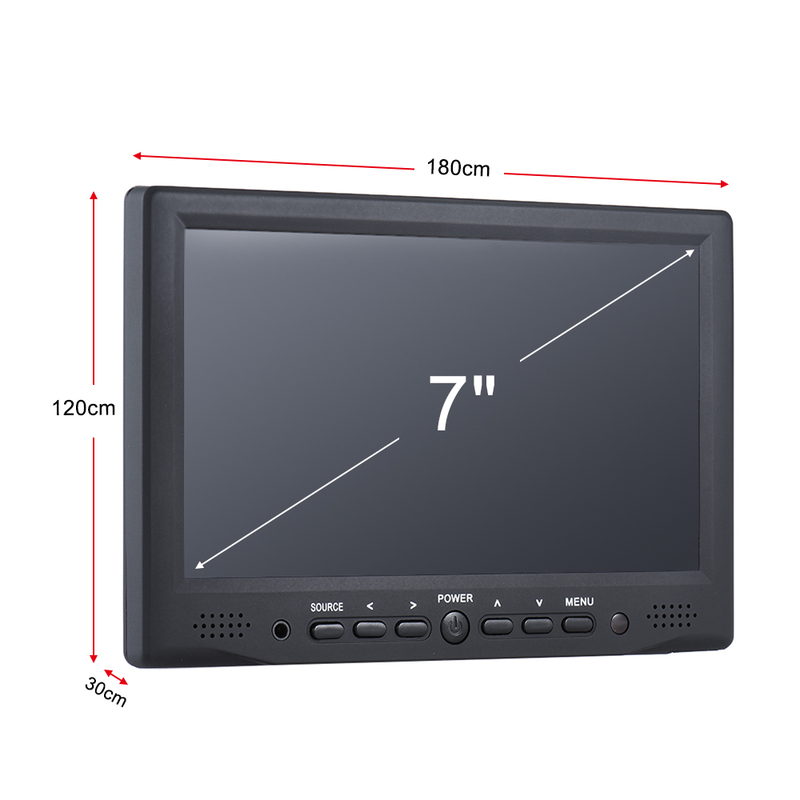 7" field monitor of 800*480 high resolution, 400cd/㎡ brightness. Professional feature check field, center mark（five color), safe area, DSLR mode. 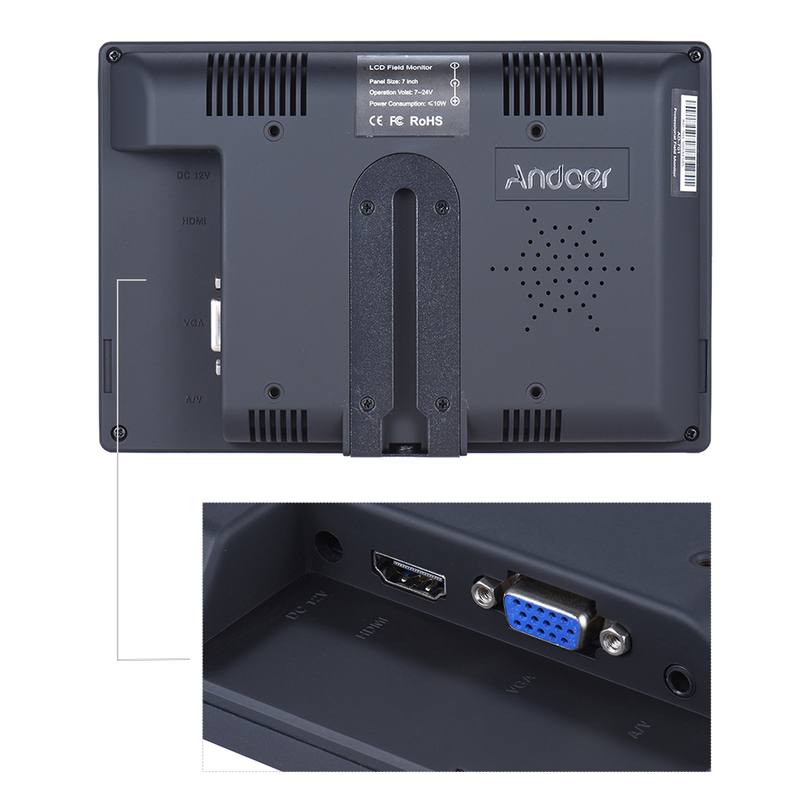 Professional and comprehensive interfaces: High Definition Multimedia Interface input, VGA, AV input and output. 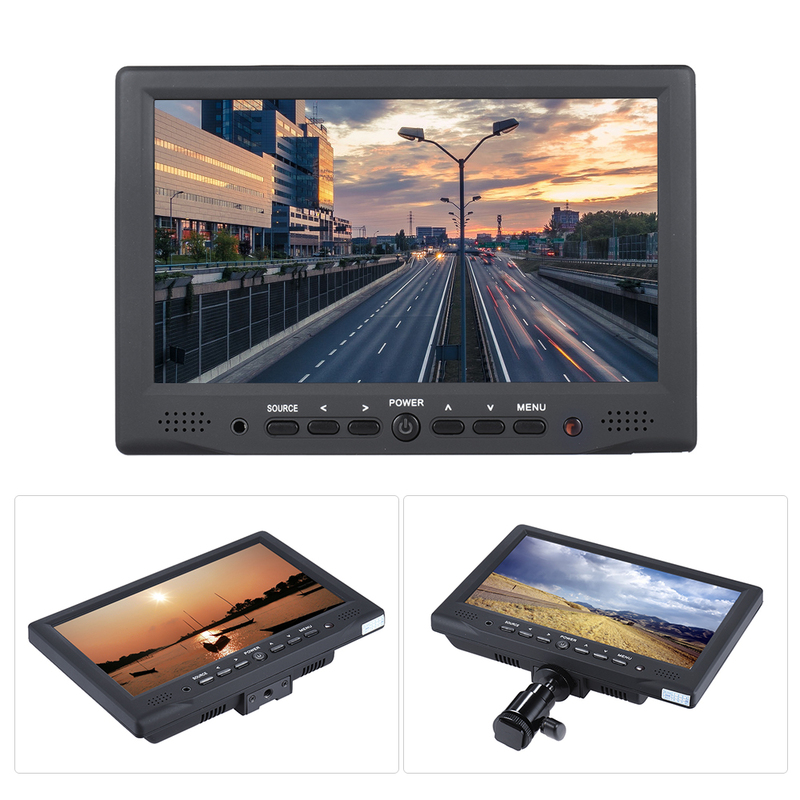 Digital high-definition LCD, ultra thin, wide viewing angle. 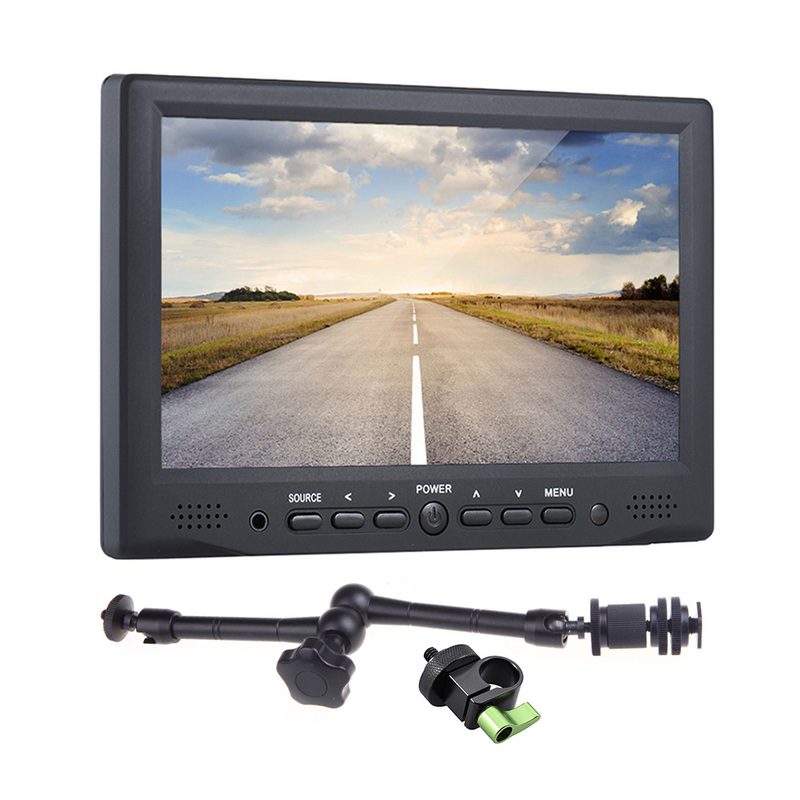 Full screen display in mode of monitoring & recording. The buttons with the function of night vision. 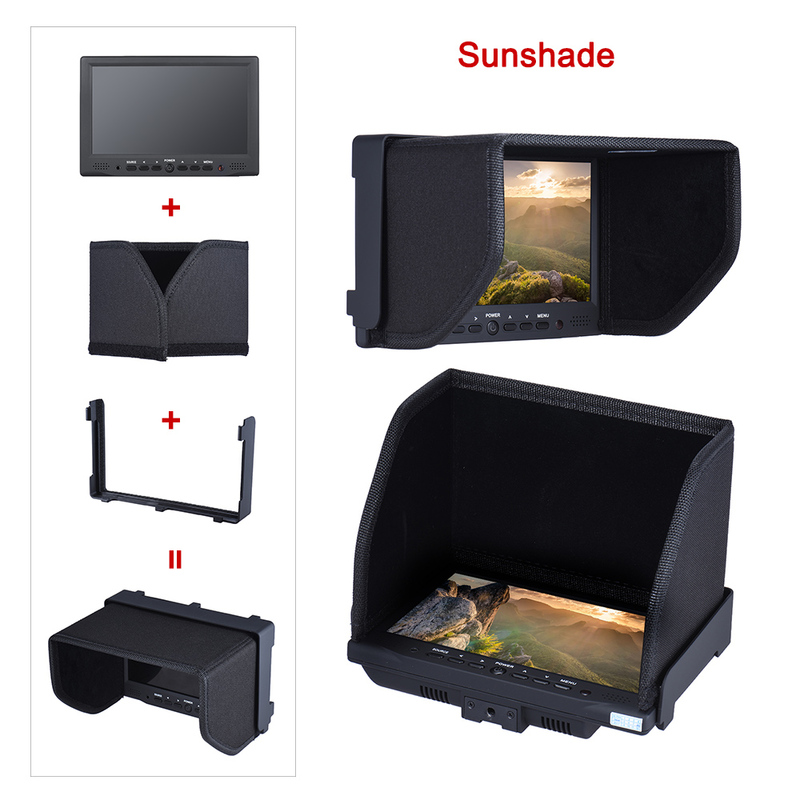 Blockbuster with Wyatt low-power technology convenient for outdoor shoot. For broadcast photography, conference occasions, medical equipment and etc. 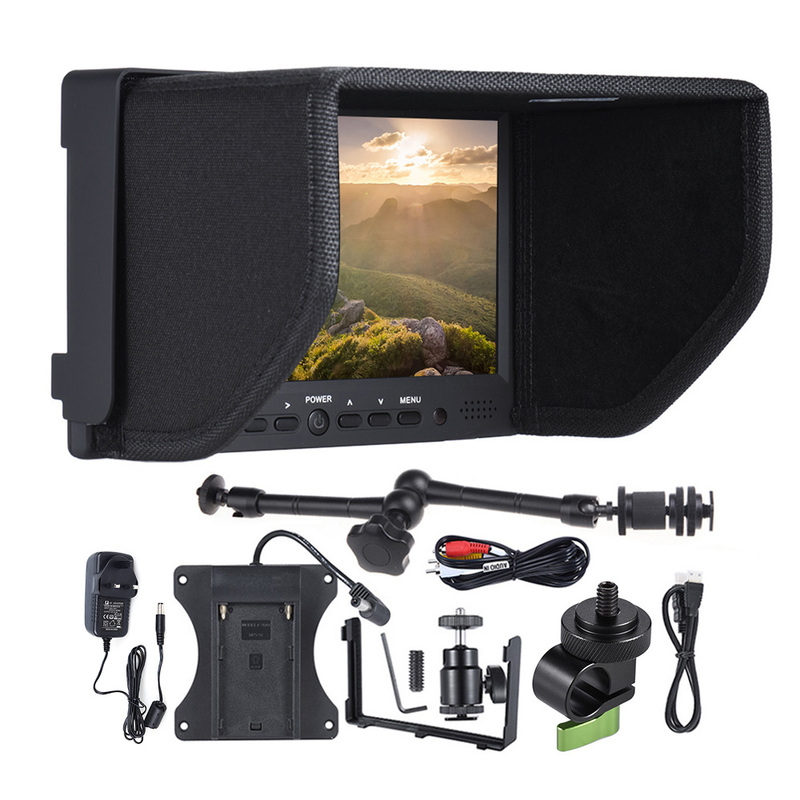 A great help for directors, DSLR filmmakers and photography enthusiasts. ---11" Magic Adjustable Arm is used for monitor, also 1/4" mount 15mm single rod clamp included.